It’s almost time for the FIFA World Cup to kick off once again! 32 national teams from around the globe will compete for the most coveted prize in all of soccer (or football to those across the Atlantic), and with so many squads and players heading to Russia for the 2018 competition, you’d be forgiven for losing track of all the action once the tournament begins on June 14. Thankfully, there are plenty of incredibly useful apps out there detailing all the groups, fixtures, scores, and much more so you can keep up with all the goals and drama from the first World Cup game to the last. Without further ado, here are the best World Cup apps for Android! The excellent ESPN app should be fairly familiar to most sports fans in North America. In addition to the regular news and in-depth coverage you'd expect to find, ESPN also has a dedicated FIFA World Cup category showing the group stage tables, fixture dates, kick-off times, statistics, and venue details, to name but a few. It’s hardly a definitive source for all your World Cup needs — and it does include ads — but there few apps that cover all bases for major sports like ESPN. We couldn’t really do a list of the best World Cup apps and ignore the official 2018 FIFA World Cup Russia app now could we? The app offers real-time live coverage of all 64 games complete with photos and videos captured on-site. 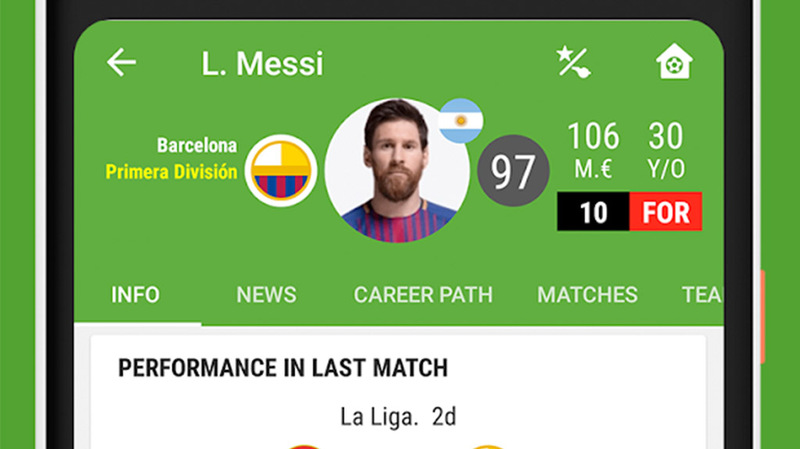 As well as key video highlights and analysis, the FIFA app also includes profiles for all players and coaches and a voting section where you can help decide each Man of the Match. What you won’t find is any analysis that potentially sheds a poor light on the tournament as a whole, so if you set a lot of stall in objective, unbiased reporting, you should probably grab an unofficial World Cup app too. There’s also a FIFA World Cup Fantasy app that can be downloaded from the Play Store so you can compete with other soccer fans by picking your own World Cup dream team. FotMob is a fan favorite app for many soccer addicts, including many here at Android Authority (myself included). 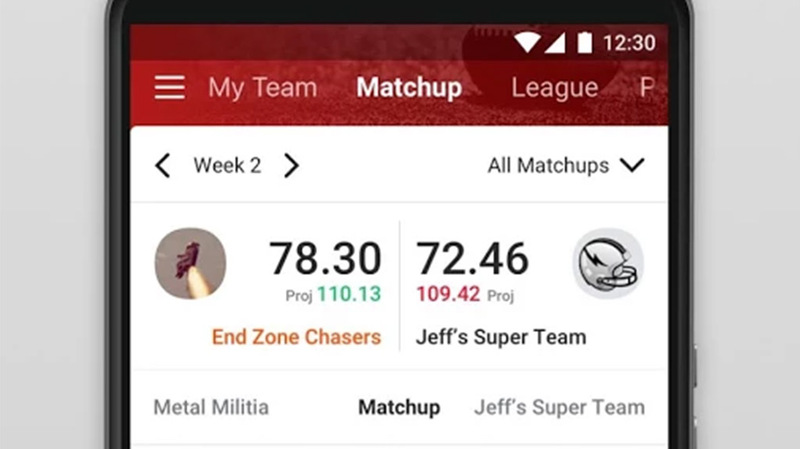 Just like during the regular league season, FotMob features a sleek UI and all of the stats and statistics and real-time coverage you’re likely to need. FotMob has also specifically been updated for the 2018 World Cup. New features include a World Cup predictor and optional push notification alerts for your chosen team. The Google News app is joining the footballing party with a dedicated World Cup Tracker. The tracker offers a colorful “spotlight” wheel that brings together live scores, schedules, results, and more in a neat, visually appealing format. 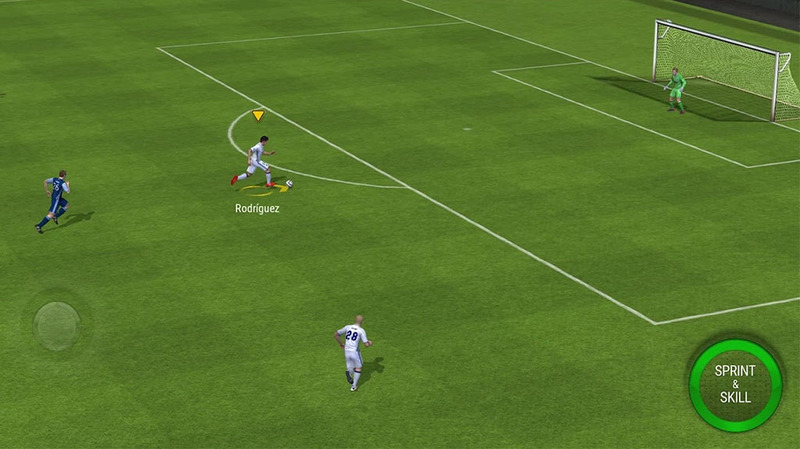 The app will also present video highlights on YouTube. Unfortunately, only users in the U.S., U.K., France, Germany, Brazil, Mexico, Argentina, Peru, and Colombia will be able to use the limited-time World Cup Tracker. Fox Sports has bagged exclusive rights to broadcast every single 2018 FIFA World Cup game. Live streams and replays of all 64 matches are just the start, though. The Fox Sports app has been updated with a dedicated Match Center with live reports, squads, and stats, a Highlight Machine for creating custom highlights which can be shared on social media, and five different live feeds for every match. Live TV subscribers with Fox Sports access can also watch games in 360-degree virtual reality through the separate Fox Sports VR app for a view of the action from a seat within the stadium. If you just want a live feed of all of the games without the fat, there are plenty of other options out there thanks to the many Live TV apps and services. Check out the video below for four options for U.S. consumers. All of those listed include access to Fox Sports coverage as standard so you’ll be able to watch each and every 2018 FIFA World Cup game! One of the best apps out there for U.S. soccer coverage has enjoyed a makeover just in time for the 2018 World Cup. As the app’s name suggests, Onefootball provides all the latest breaking news, results, and stats from the group stage all the way to the final, with an option to follow your national team for push notifications on both their performance and other teams within their group. There’s also a new World Cup dashboard that is solely dedicated to all the high-stakes drama in Russia. theScore is another jack-of-all-trades sports app that has received a World Cup-themed update. Expect to see all the news, real-time scores, fixture lists, group stage standings, and more from the tournament. There’s also a Discover tab that tracks trending topics and a handy Favorites system. The latter presents you with a personalized feed for any teams and/or individual players competing at the World Cup, so you can hear about every goal, substitution, and sending off pretty much as it happens. SofaScore has long been a favorite of soccer and European football fans and that will no doubt continue during the 2018 World Cup. The app features one of the cleanest, simplest UIs of any sports app on the market. SofaScore also prides itself on going beyond simple stats, fixtures, and scores, with an in-depth player ratings feature that shows each player’s goals, assists, and pass completion, as well as a heatmap to show their movements throughout the game. SofaScore is also optimized for Wear OS devices, so if you have a compatible smartwatch you can get all the latest news and results on your wrist. Easily one of the best World Cup apps available on the Play Store. The most popular video-sharing app in the world requires no introduction. While you won’t be able to watch games live — unless you’re a YouTube TV subscriber — YouTube will host official highlights in more than 80 countries from official FIFA broadcasters such as Fox in the U.S., the BBC in the U.K., and many more. Many teams competing at the 2018 World Cup have their own official YouTube channels with behind-the-scenes access to players and coaching staff. YouTube is also a great place to go to catch up with classic moments from previous World Cup tournaments. 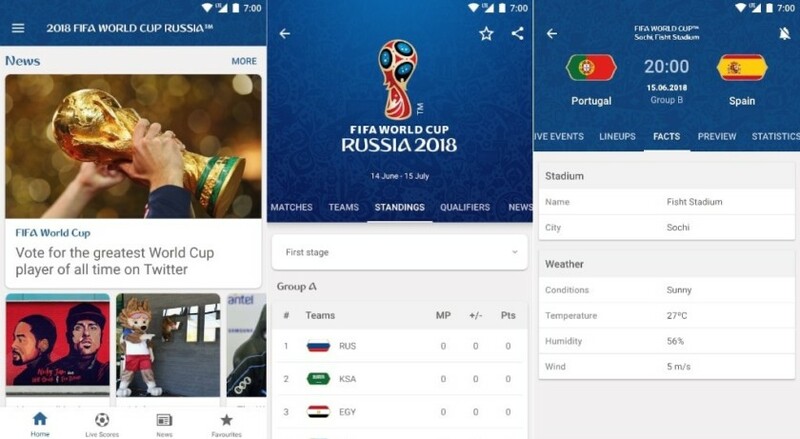 Did we miss any useful Android apps for following the 2018 FIFA World Cup? Tell us about them in the comments! You can also click here to check out our latest Android app and game lists!